Home » Posts Tagged "South Carolina"
South Carolina DMV Waiver Process – Effective May 2, 2016, the South Carolina Department of Motor Vehicles (SCDMV) will accept the MSF completion card in lieu of the SCDMV’s skill test for the motorcycle license endorsement. SC Rider Ed students will no longer be required to also take the SCDMV skills test to receive their motorcycle license endorsement. Are all sites participating in this process? Each site is on a schedule to transition to the waiver process. Please check with the site regarding their participation before enrollment. We ask for your patience as each site moves forward with implementation. Will a student need to take the SCDMV skills test when they go to the SCDMV? The SCDMV will conduct random recalls for students participating in this process. How long does a student have to submit their envelope and paperwork to the SCDMV? A student has 30 days to submit their envelope and documents to the SCDMV. Envelopes must be sealed or they are invalid. I took my MSF completion card to the SCDMV. Why are they not accepting my MSF completion card for the waiver? In order to be eligible for the waiver process, there is additional paperwork that needs to accompany the MSF completion card. Please inquire with the course site regarding their participation in the waiver process and the additional paperwork needed. Only courses completed after May 2, 2016 are eligible for the waiver process. Will the SCDMV accept my MSF completion card if I took the course in another state? No, the SCDMV will only accept MSF completion cards with the additional paperwork from participating SC sites. How To Get A South Carolina Temporary License – Being convicted of driving under the influence (DUI) or driving with an unlawful alcohol concentration (DUAC) has many consequences. Jail sentencing, fines, mandatory classes, community service, and the loss of your personal and/or commercial driver’s license are all possible. In many situations, you can get a temporary driver’s license to help you get back on the road and get on with your life. After all, it is hard to go to required alcohol safety classes when you can’t drive yourself. Also, if your job requires you to drive, you need a speedy way to become a legal driver again so you can do your job. Let’s go over some of the ways you can get your driving privileges back after a DUI or DUAC conviction. One of the first things that happens to you once you’re convicted of a DUI or DUAC is that you lose your driver’s license. Some of the time you can get back some of your driving privileges on a temporary basis, but doing so requires you to jump through some confusing administrative hoops. 1- A Temporary Alcohol Restricted License (TARL) can be obtained after your DUI or DUAC arrest. This restricted license is used by those who have refused to take the breathalyzer test and have requested an administrative hearing to contest the six month suspension for refusing the breathalyzer. It is valid for the period of time between the arrest and the administrative hearing to contest the license suspension (if you request one) in your case. Unlike the other two types of temporary licenses, a TARL is for those who have not (yet) been convicted. Not everyone qualifies for a TARL, but if you do, it will get you back on the road. There are also several requirements you must abide by if you decide to go this route. 2- A Provisional Driver’s License may be granted after a DUAC conviction for the period of time that your license is suspended. It doesn’t have restrictions on how and where you can use it. We will cover this in more detail below. A Route Restricted License may be issued after a DUI conviction to allow you to drive to work, school, court appointments, alcohol programs, etc. We will discuss this license type later as well. After being convicted, the type of temporary license you can get depends on a variety of different things. In some cases, you may not be eligible for one at all. While both post-conviction types—provisional and route restricted—are similar, there are some differences we’ll highlight next. Whether you’re found guilty or you plead guilty, you may qualify for a provisional license after a first offense DUAC or DUI conviction. A provisional license allows you to drive to work, school, grocery stores, social activities, church and court-mandated programs imposed as part of your DUAC conviction. In other words, you may continue driving as if you had a traditional driver’s license. There are, however, administrative processes to go through, including an application and associated fees ($100). 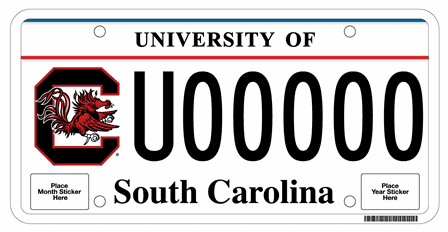 You must have or have had a SC driver’s license. You must have no other license suspensions. You must be enrolled in the Alcohol and Drug Safety Action Program (ADSAP). You must have an SR-22 insurance certificate. You can get this certificate through your insurance carrier. You will likely have to pay higher insurance premiums because of the certificate, but it only lasts for three years. For some first offense DUAC and DUI convictions, you also need an Interlock Ignition Device (IID). This device prevents you from operating your vehicle until you blow into a tube and the device measures your blood-alcohol content. An IID is required for all drivers who are convicted more than once for DUAC or DUI and for those first offense convictions where the blood alcohol content is above a .15. Once you have your provisional license, it lasts as long as your suspension. When you’re ready to get your regular driving license back, you must pay a reinstatement fee of $100. Before you can be reinstated, you must complete ADSAP. Please note, a provisional license is only for those convicted of a first offense DUI or DUAC charge. Read on to learn about a route restricted license. When a provisional license is not available, for example, when it’s a second offense DUI or DUAC, a route restricted license allows you to drive to and from certain specified places so you can continue your day-to-day life. By law an individual may obtain a route restricted license only once in his lifetime for these type of suspensions. Please note, you may only obtain a route restricted license once in your lifetime unless you are suspended for nonpayment of child support or driving under a suspension that is not DUI related. Let’s look at a real-life scenario. Say you are charged with DUI. You want to contest the suspension of your driver’s license for refusal to submit to the breathalyzer test at an administrative DMV hearing. Between getting charged and awaiting the hearing, you obtain a TARL. At the hearing, your suspension is upheld, and you are convicted of DUI. Now your TARL is no longer valid, So if you want to drive to work, you must apply for a provisional driver’s license if it is a first offense DUI or a route restricted license it is a conviction for DUI 2nd or greater. People also seek a route restricted license after pleading guilty to an alcohol or drug related offense. Whether you contested the charge or not, a DUI conviction means your driver’s license is taken away, and one of the only legal ways to drive is with a route restricted license. Using this type of temporary license, you can drive to work, school, ADSAP and other pre-approved places. The process for obtaining a route restricted license is similar to the process for getting a provisional license, but there is a difference in the paperwork. You must submit Form DL-127 to the Department of Motor Vehicles. This form includes spaces for you to describe your normal commute to work or school. 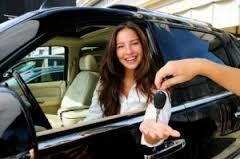 This is where you will specify the places to which you need to drive. It’s important to be thorough because the license allows you to drive only to these places. The cost for a route restricted license is $100. And you pay another $100 when you reinstate your regular license. As long as your suspension lasts, your route restricted license will remain valid. If your regular driver’s license expires while you have a route restricted license, you may need to retake your driving test when you renew your license. With some very specific exceptions, you can only obtain a route restricted license once in your life. After that, you’re out of luck when it comes to driving after subsequent DUI or DUAC convictions. Regardless of how old your vehicle might be or if you are only carrying liability insurance, Select Roadside Plans can cover you – all for one low monthly rate of less than a dollar a day! CLICK HERE to Inquire about our Roadside Plans. 4638 S. St. Peters Pkwy.